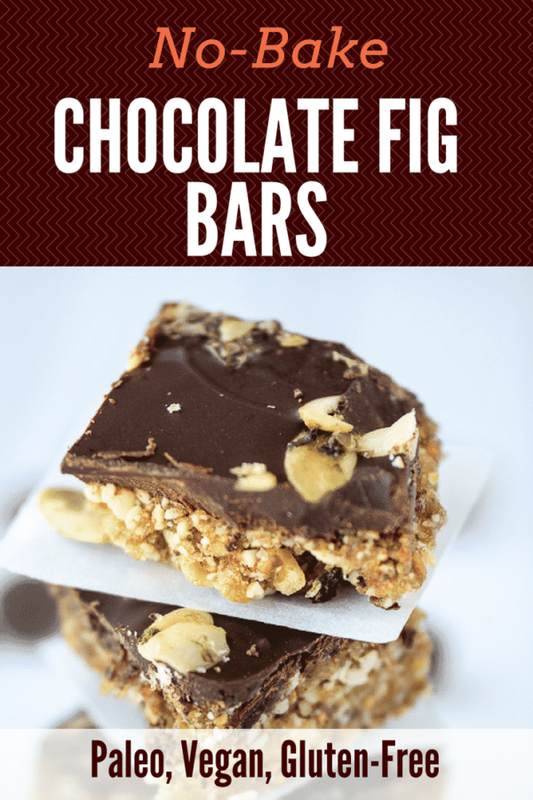 These No-Bake Chocolate Fig Bars are one of the easiest desserts I’ve ever made, and one of my favorites! 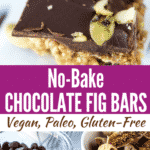 You only need 4 ingredients, and they’re gluten-free, grain-free, and vegan. 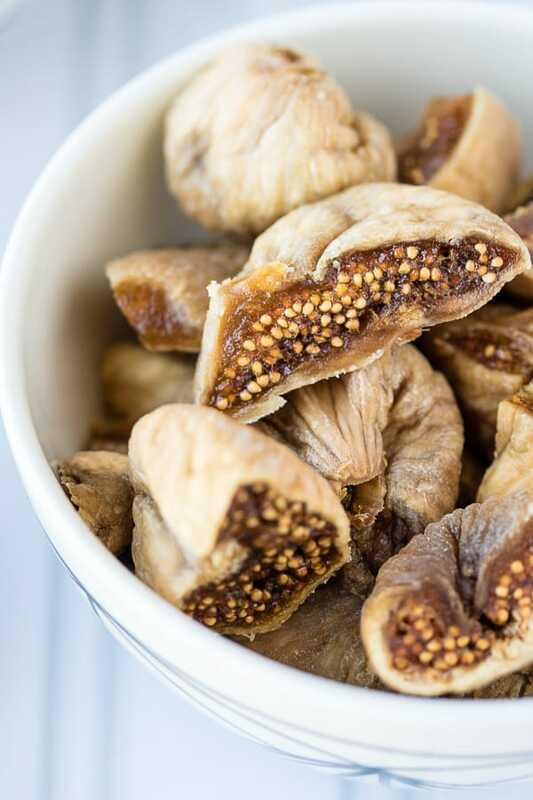 I usually use dates to sweeten my dessert recipes, but I chose dried figs for this one. 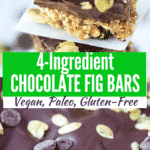 I paired the figs with chocolate and pumpkin seeds and it turned out to be a winning combination. If not, you need a new pantry supplier, ha ha. I’m actually in the process of organizing my pantry (when I say in process, I mean that I’m thinking that I really need to do it, I haven’t actually done anything yet, lol). 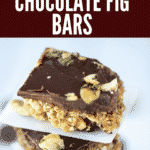 Perhaps making another batch of these will get me closer to a less-overstuffed pantry? Anywho. 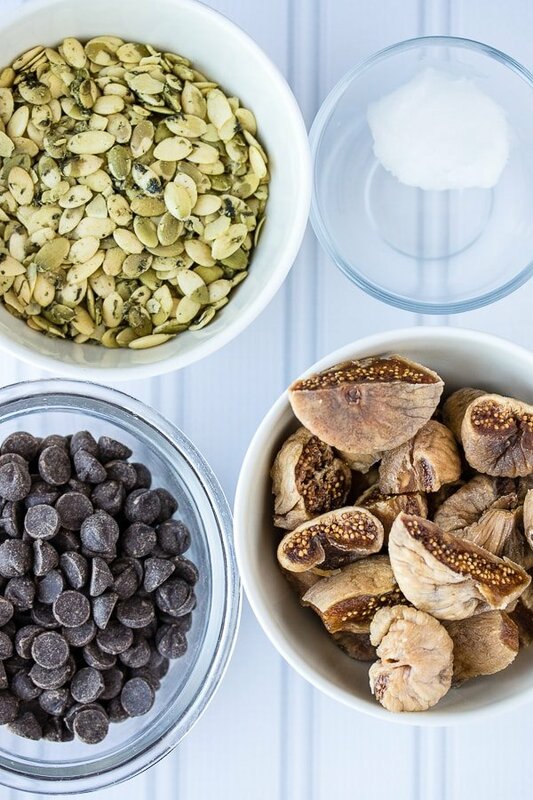 The only real prep you have to do for this recipe is to cut off the hard little stems that are on dried figs. 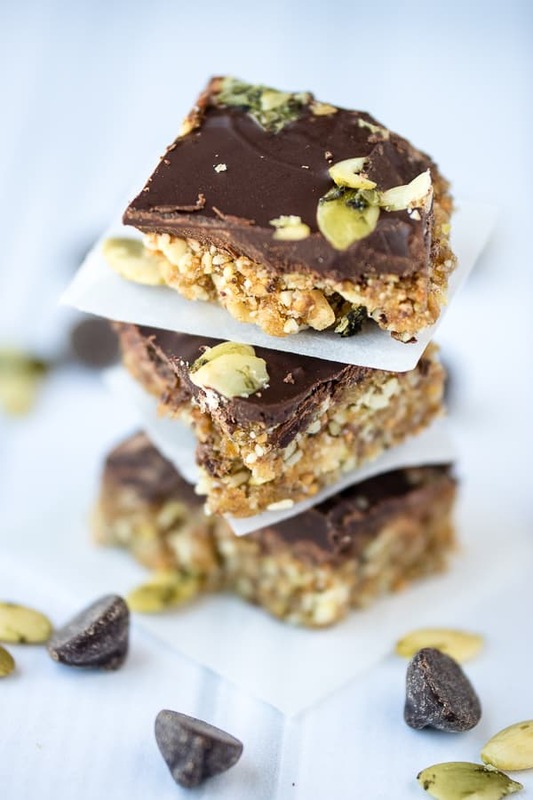 I also chopped them in half just to make it easier for the food processor to do its work and get these Easy No-Bake Chocolate Fig Bars from the processor to my mouth as fast as possible! Speaking of food processors, may I recommend this one? I’ve had it going on four years now and it hasn’t failed me (except that one time my dishwasher melted the bowl and I had to order a new one, wah). 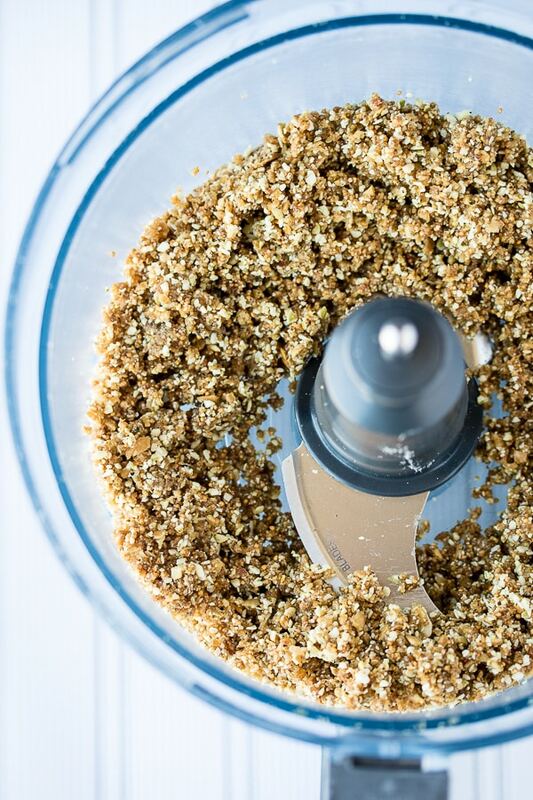 A good food processor will make your life so much easier. Truly. 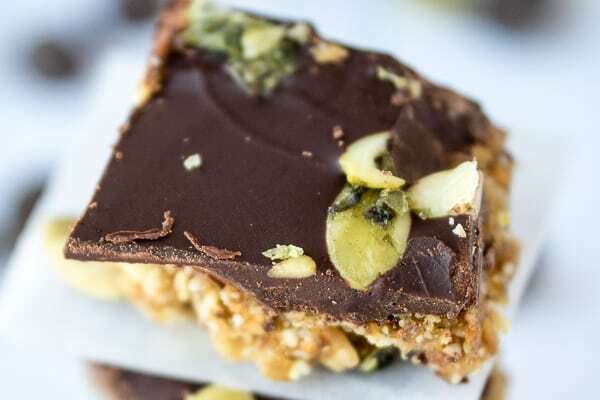 I made the raw crust for my 4-Ingredient Chocolate Fig Bars by throwing the cup of chopped figs into the food processor with the pumpkin seeds and coconut oil. Then, I just pressed the mixture into a glass baking dish like so. I melted a cup of chocolate chips in the microwave (see my notes in the recipe) and spread out the melted chocolate on top (lick the spoon!!!). It literally only took 10 minutes for the chocolate topping to harden in the freezer enough to make them ready to cut and serve. I know, I counted down the minutes. These are seriously the easiest and the best dessert ever. 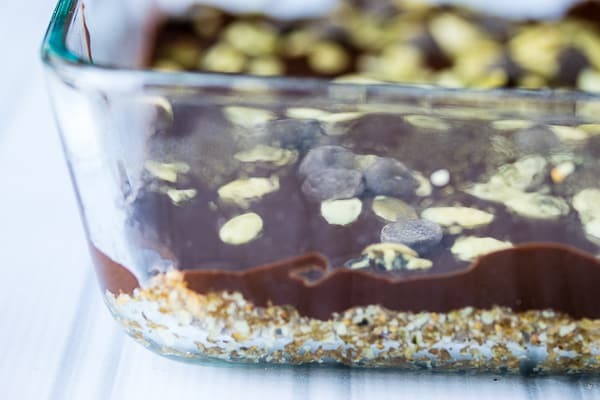 An easy, no-bake dessert that is grain-free, paleo, and vegan. 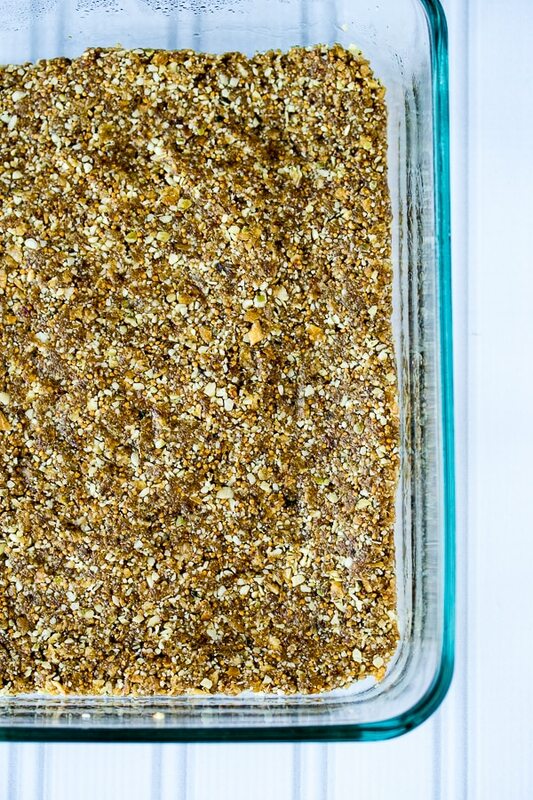 Grease a 8” x 8” square glass baking dish with non-stick cooking spray and set aside. 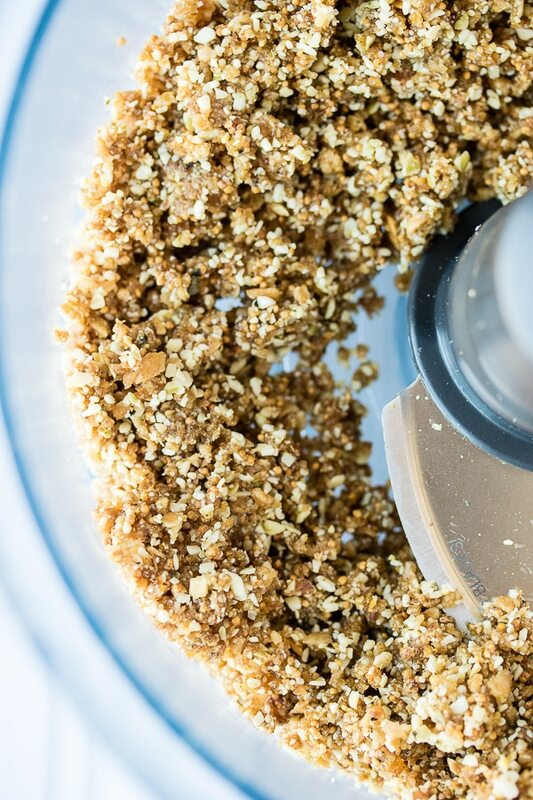 Combine the chopped figs, 1 cup pumpkin seeds, and coconut oil in the base of a food processor. Pulse on high for about 1 minute, or until the ingredients have combined. Carefully remove the blade from the bowl of the food processor and use your hands to press the mixture firmly and evenly into the glass baking dish. 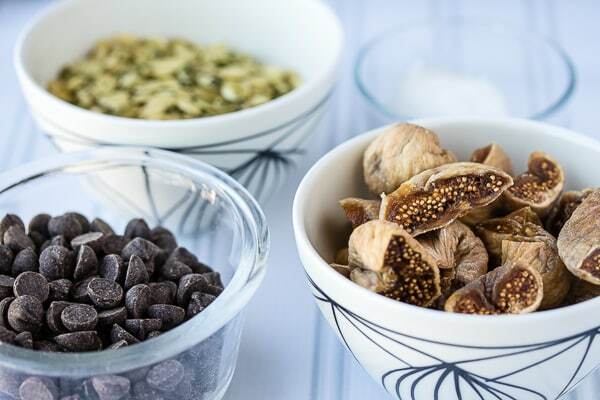 Next, melt 1 cup of the chocolate chips in a double-boiler or in the microwave. If you use the microwave, use a glass bowl and heat the chocolate chips in 30 second intervals, stopping to stir every 30 seconds. It will take about 2 minutes total to melt the chocolate chips in the microwave. 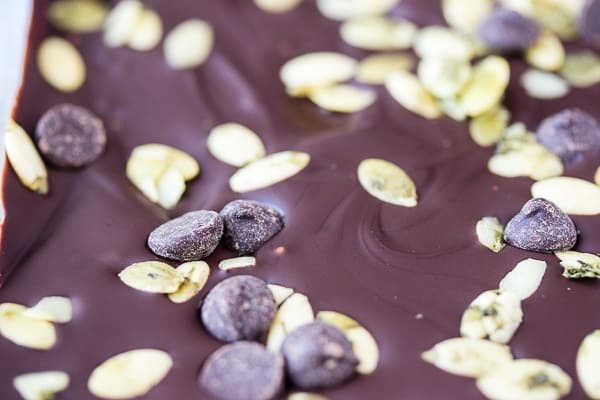 Pour the melted chocolate over the mixture in the glass bowl and use a spatula to spread the chocolate evenly over the bars. Sprinkle on the extra pumpkin seeds and chocolate chips on top. Place the bars in the freezer for 10 minutes for the chocolate to harden. Serve cold and keep the leftovers in the refrigerator for up to a week. 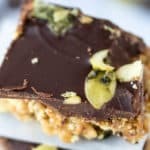 One of my favorite easy dessert recipes! Love the perfect amount of sweetness.